I’m always looking for a good MMO. Ever since way-back-when in Ultima, I’ve loved the idea of a semi-persistent, living world. I haven’t played any real MMOs since I left World of Warcraft shortly after Cataclysm. I’ve been biding my time, waiting for something good (and subscriptionless) to come out. Logging into the giant, truly alive world of Tyria? It feels like coming home. 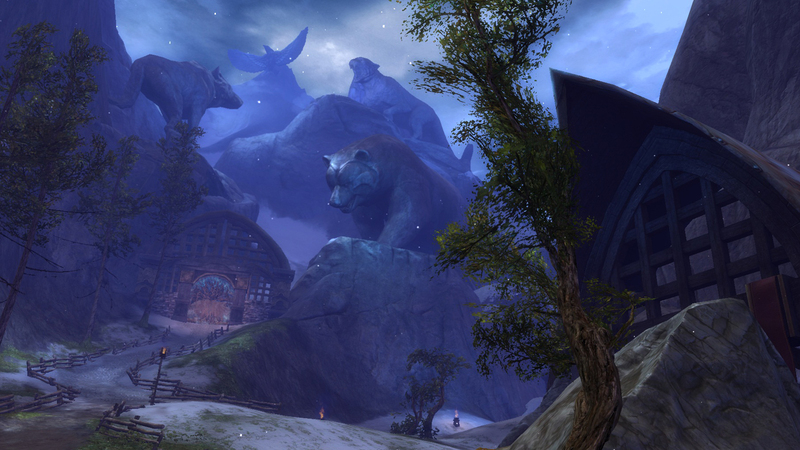 Guild Wars 2 is an absolutely beautiful game. From concept art to models, everything has this unique, semi-realistic look that fits so well with the setting. I’ve never felt so much awe when going into a game since first stumbling upon Ironforge way back when I started WoW. Screenshots do not do this game justice. Videos almost don’t, either. There’s a certain breathtaking sense of wonder when you happen upon some terrible beast or massive structure. Bonus points if you’re familiar with the series and it’s something from the original. Even with all this prettiness, everything is still clear and understandable. The UI is nice and minimalistic, which is something you’d have to resort to installing six or seven addons for in other MMOs. The gameplay is probably the best I’ve seen in any MMO I’ve played. Someone once described it as ‘the MMORPG for people who hate MMORPGs.’ There is no grind, no meaningless running back and forth to waste your time. No need to pick up quests, as everything is proximity-based. The best part about the gameplay is the dynamic event system (and the armor dye, but that’s aside the point). The tl;dr of it is ‘stuff just happens.’ The centaurs really attack human villages. The supply caravans really go from point a to point b, without you having to activate it. The world changes with some events, too! Bases are erected or torn down, ground is gained or lost. 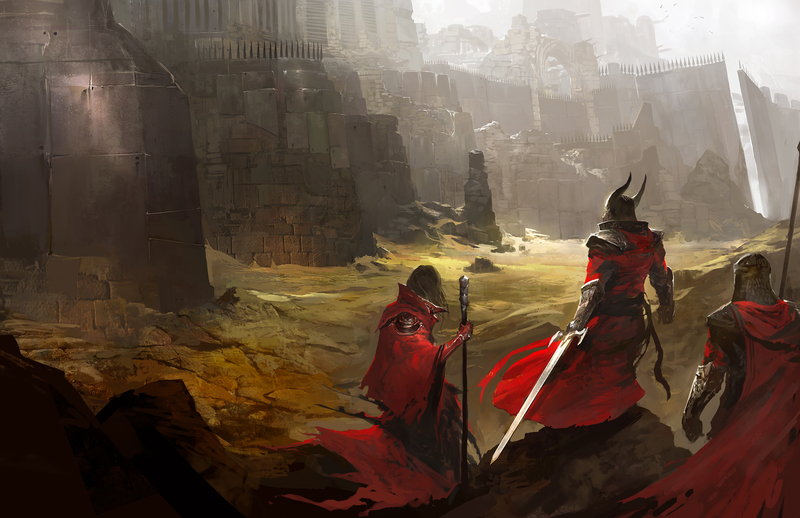 It’s the first MMO world that doesn’t wait on you to do something. Like I said, stuff just happens, and that’s only hitting the pure PvE part of the game! It’s not a perfect game, though. There are some issues, but a good majority of them fall under ‘It’s the day of launch.’ The trading post (auction house) currently doesn’t work, nor does the ‘guesting’ feature that lets you play with friends on other servers without having to transfer (you just can’t do world v world). Customization is a bit of a disappointment if you, say, want to roll a non-scarred older human man (or any kind of old woman), but I expect us to get more stuff in the future for that. My biggest problem is that some hitboxes can be kind of wonky in terms of the jumping puzzle (Metrica Province’s Windy/Stormy Stations, for instance) content. Considering that jumping, y’know, has a point, it’s a bit of a pain to miss something because the hitbox doesn’t line up with the model. Anyway, if you’re growing tired of killing Deathwing over and over for another month until you get to go to Pandaria or just want to hop into a guilt-free MMORPG (no subscriptions, remember? ), then give Guild Wars 2 a shot. Hell, even if you’re new to the genre, try it out. ArenaNet has done some pretty cool things and they deserve all the support they can get. Until next time, I’ll see you fine folks in Tyria. This entry was posted in Review, Video Games and tagged guild wars, guild wars 2, guild wars 2 review, gw2. Bookmark the permalink.